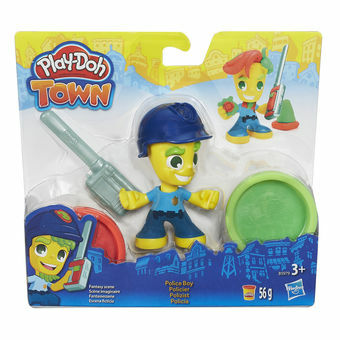 Sometimes things get suspiciously squishy around Play-Doh Town, and it's the Police Boy's job to investigate! Nothing says "authority" like an epic beard, so get him ready for the day by putting on his hat and pressing out crazy colorful facial hair. Put his radio in his hand so that he never misses a call, or remove it to use it as a knife for slicing through any Play-Doh obstacle. 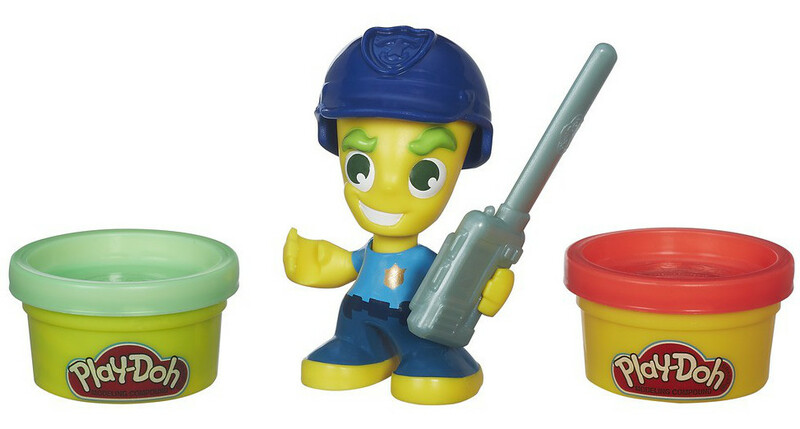 Match the Police Boy with his crime-fighting partner on the Police Motorcycle (sold separately) to expand the Play-Doh Town police force! Hasbro, Play-Doh and all related properties are trademarks of Hasbro. Meet one of the sweetest friends in Play-Doh Town! The Ice Cream Girl loves to make colorful Play-Doh ice cream cones for all of her friends (sold separately). Get her ready for some frosty fun by creating a swirly hairstyle for her and decorating her dress. Make scoops of pretend ice cream, and display them in the cone. Use the half-molds to add creative toppings! Team up with the Ice Cream Truck (sold separately) to fill Play-Doh Town with even more frosty fun! Hasbro, Play-Doh and all related properties are trademarks of Hasbro.